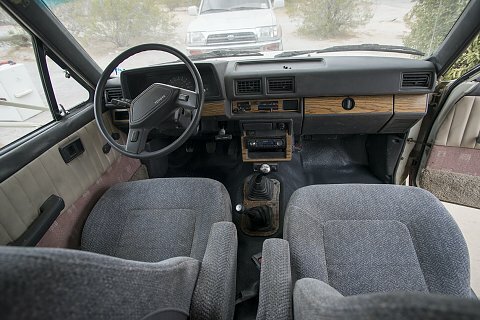 When we got the Sunrader, the interior was almost all original. Yes, that means nasty carpet and moldy pink upholstery. 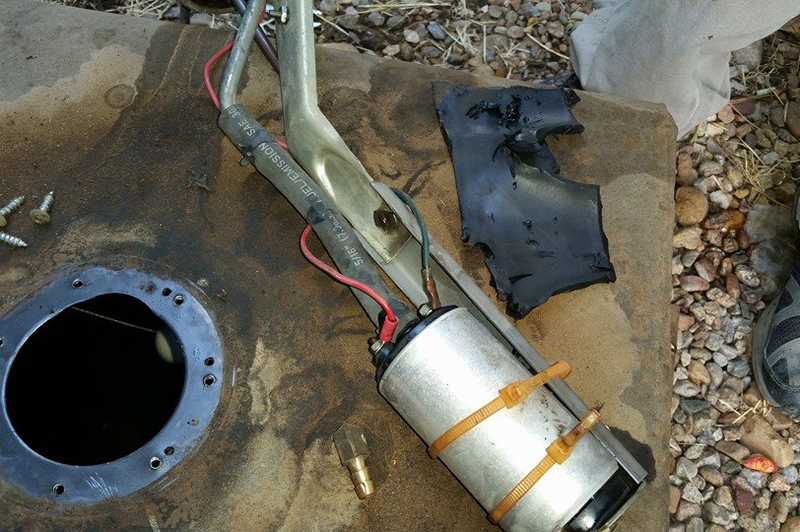 The previous owner had installed a new stovetop and put in new plumbing to properly dispose of separate grey water and black water. 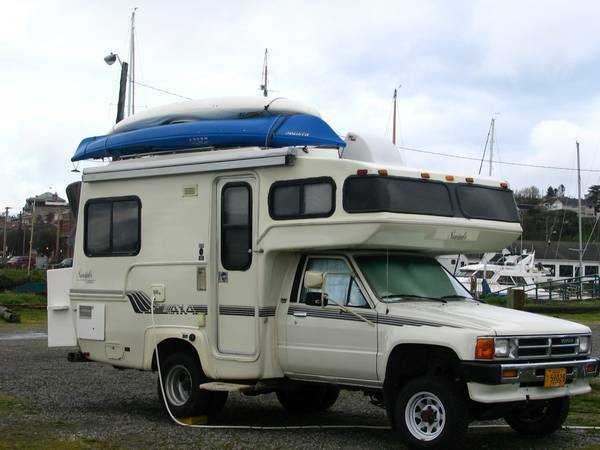 The recalled rear axle had been replaced, a large storage box added on the back, and roof mounts for kayaks installed. 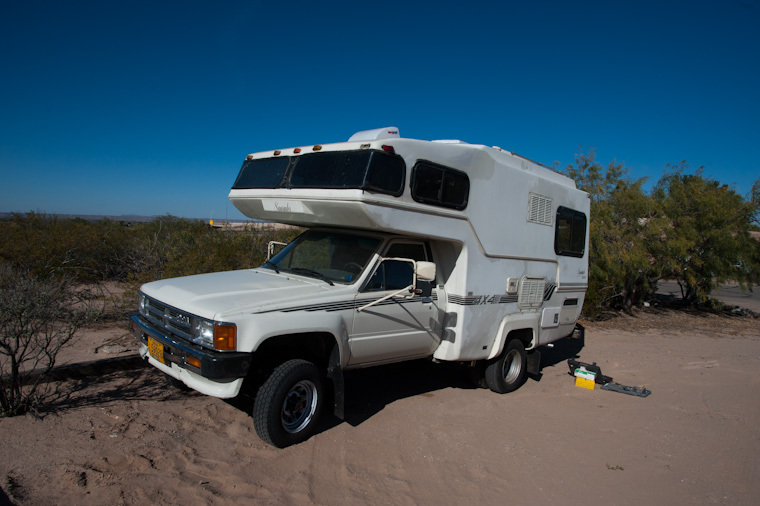 Other features include: roof/dash AC and heat, cruise control, 3-way Dometic fridge, 26 gallon gas tank, 6 gallon hot water heater, RV battery, double row timing chain with steel backed guides, air vent installed above the bed, patio awning, stereo and speakers, CB radio. We still have a bit to do, but we’re getting close! Check back here for updated photos soon. 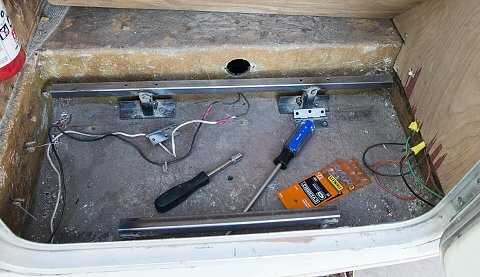 Removed cumbersome rear storage box to be replaced by more sturdy one. Kitchen area, which doesn’t need much work. 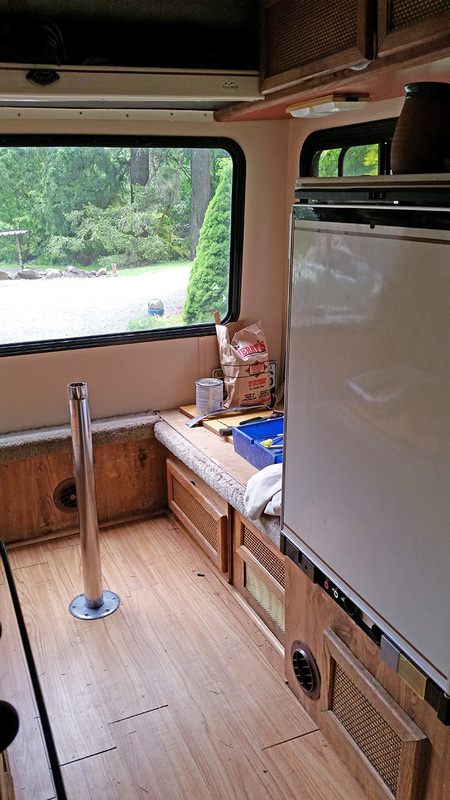 Rear dinette and kitchen area. 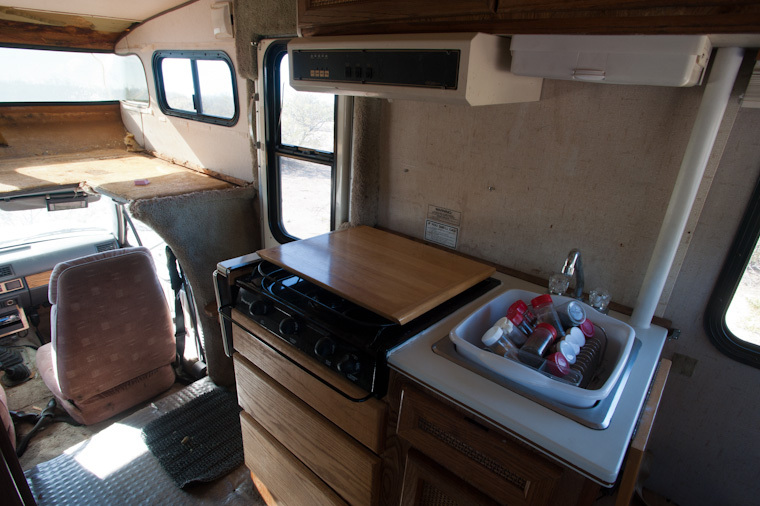 Cushions will be reupholstered, refrigerator needs repair. 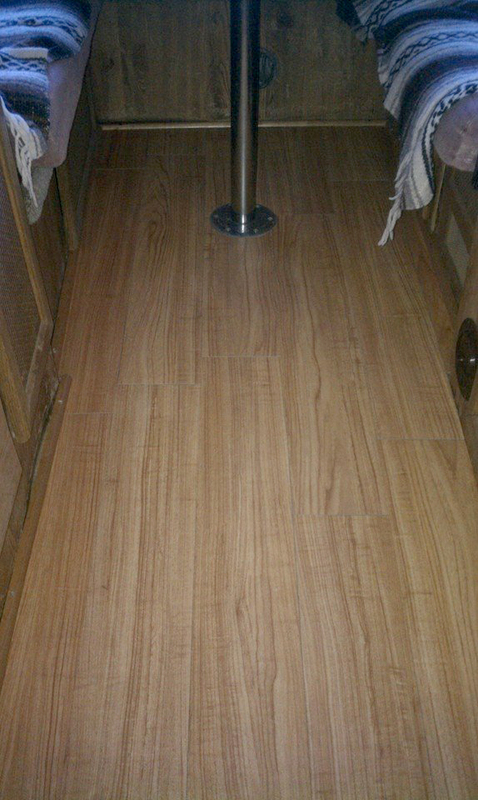 All floor carpet will be removed and laminate floors installed. 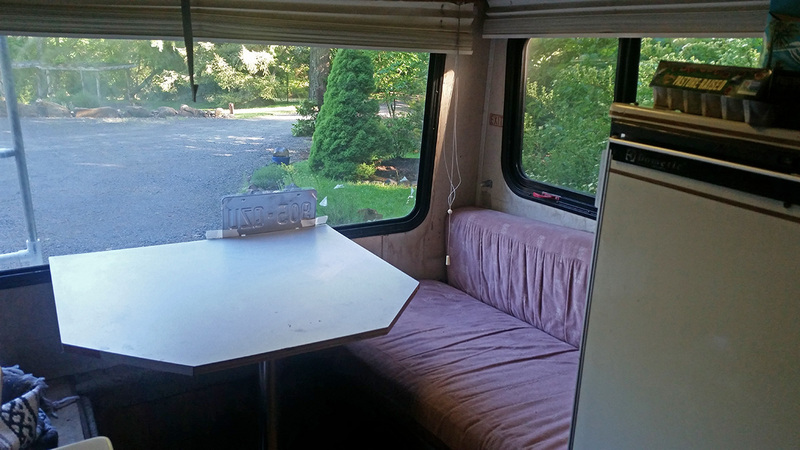 View from the rear dinette. 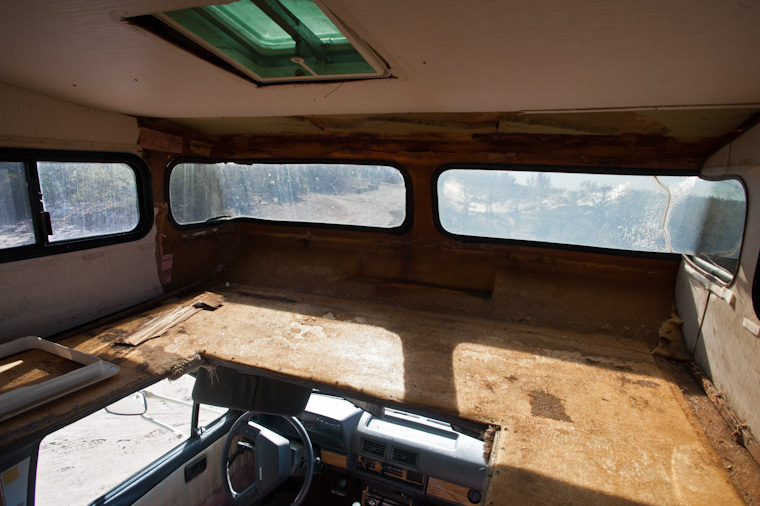 Cabover bed area with all the nasty carpet and moldy paneling removed. 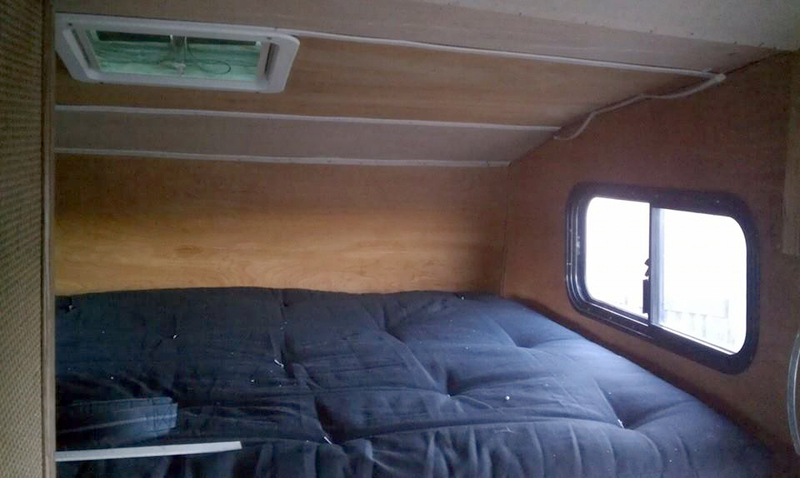 Will be fully braced, resurfaced, insulated and new bed installed. 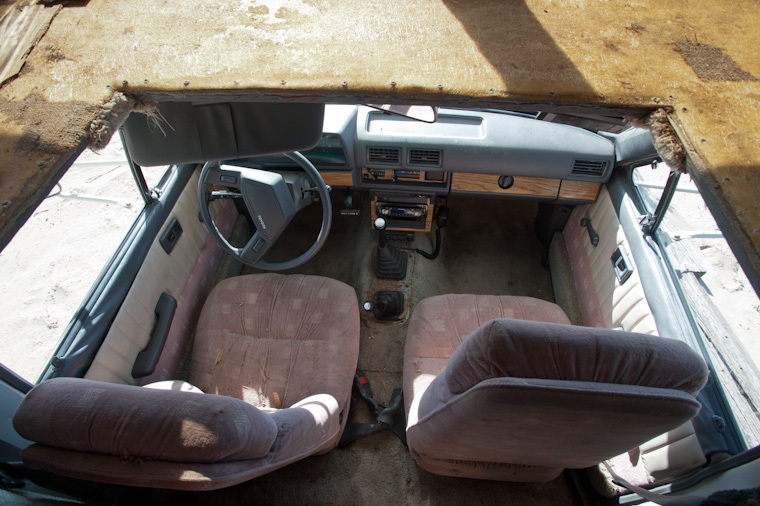 Oh-so-pink cab seats which will be cleaned and covered, all the carpet ripped out and replaced with something else. 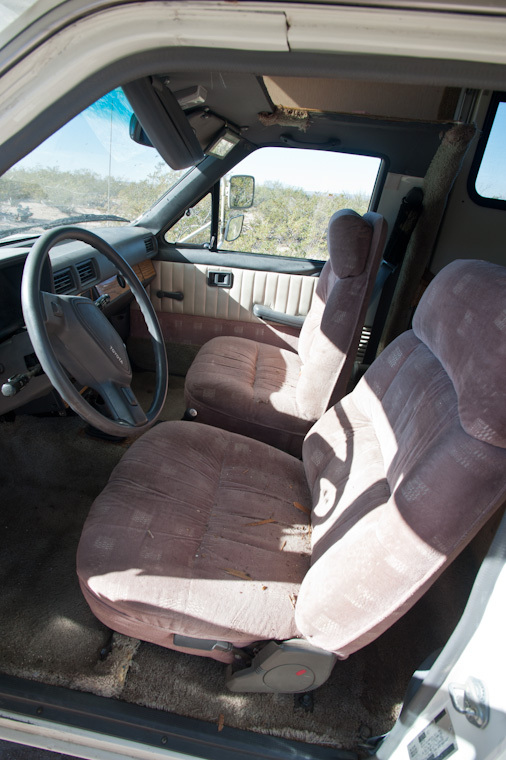 Those awesome pink cab seats again. All the upholstery/cushions/drapery was this color, too! Ugh. 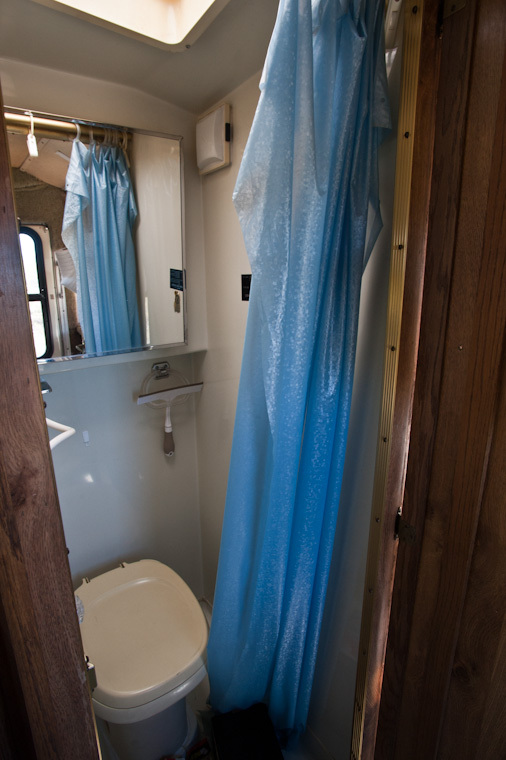 Bathroom, which fortunately does not need any work. 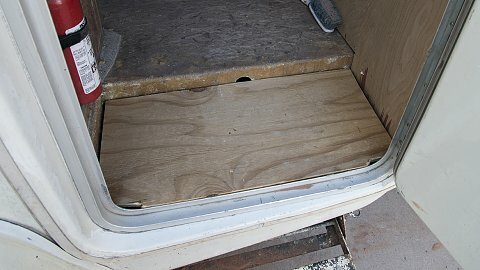 Will need to resurface and coat exterior fiberglass. 4×4 – yeah! Will need to resurface and coat exterior fiberglass. 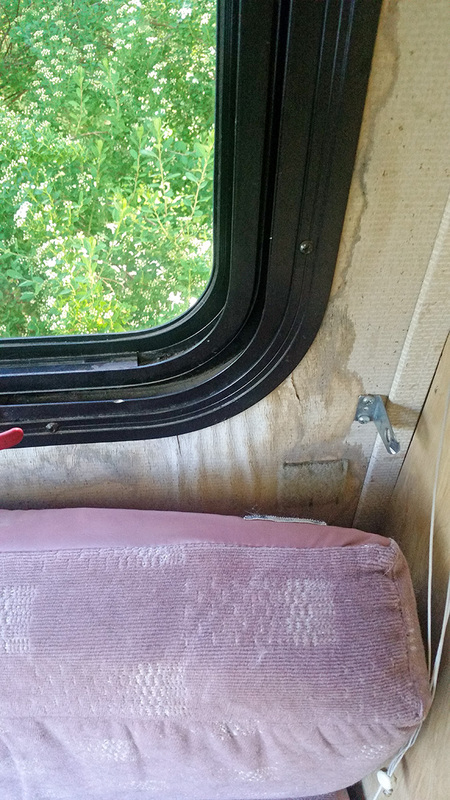 Terrible warped/leaky plexiglass windows that will need to be removed and fiberglass repaired. 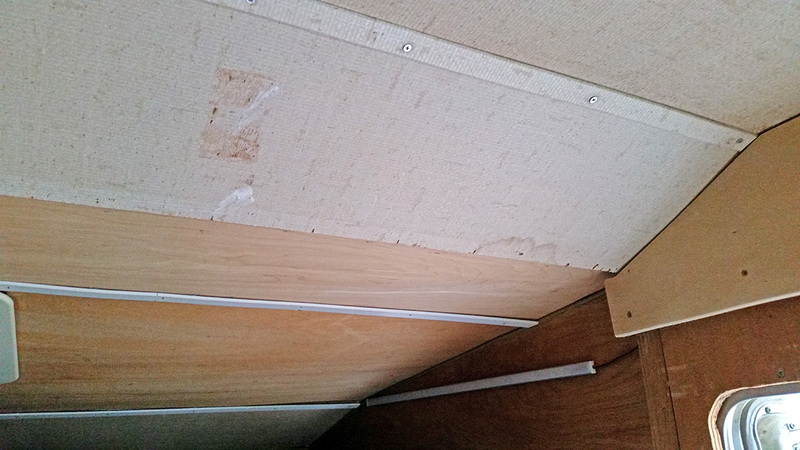 Sagging roof over cabover bed area. 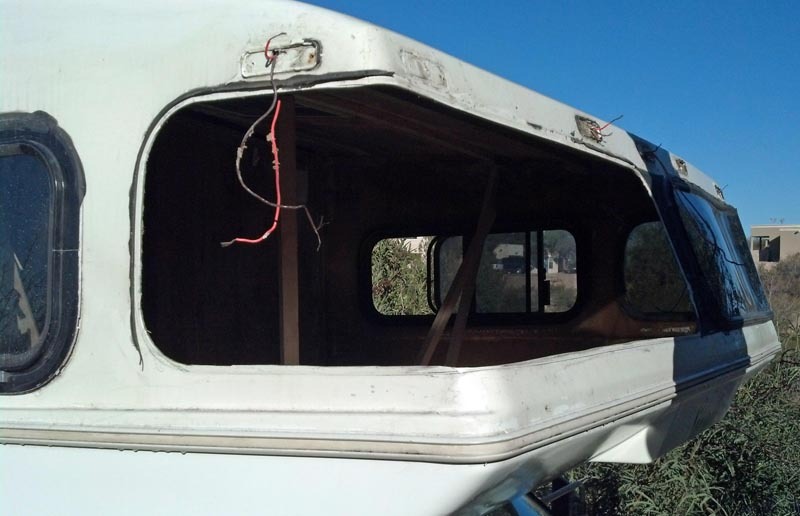 removed warped, leaky front cabover windows. 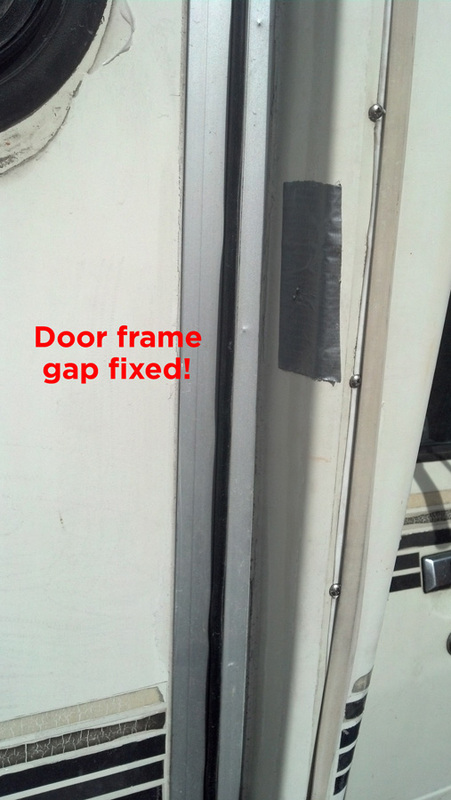 We sawed the door frame out and repositioned it. 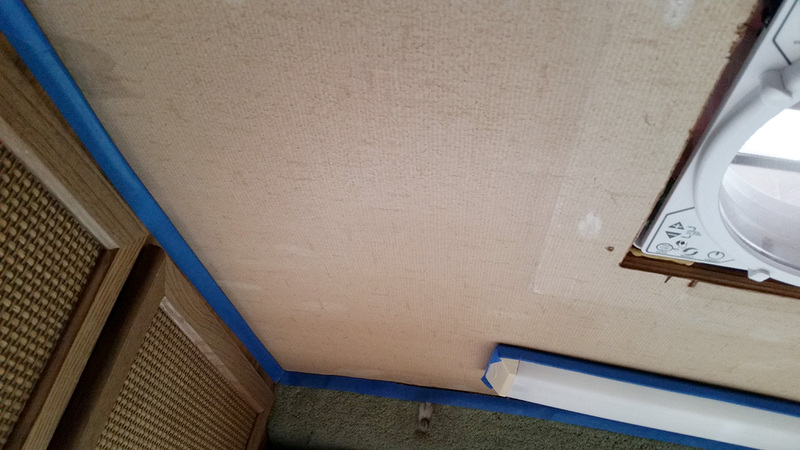 large area of damaged fiberglass in need of repair. 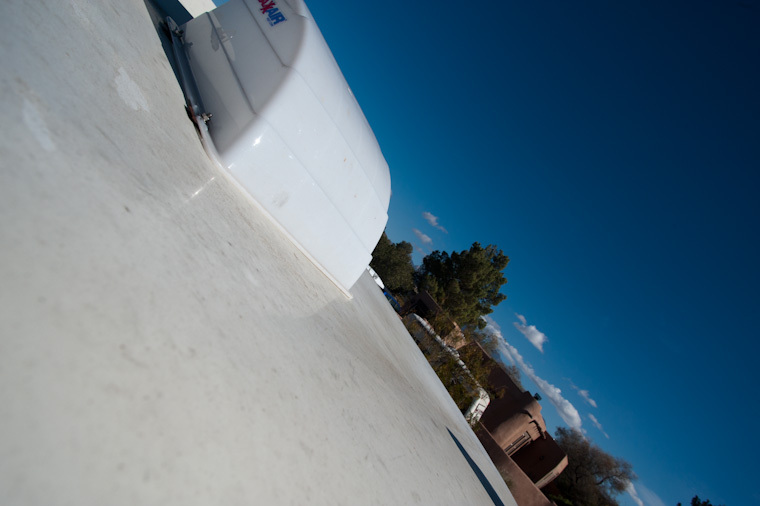 Installing roof support for sagging fiberglass. 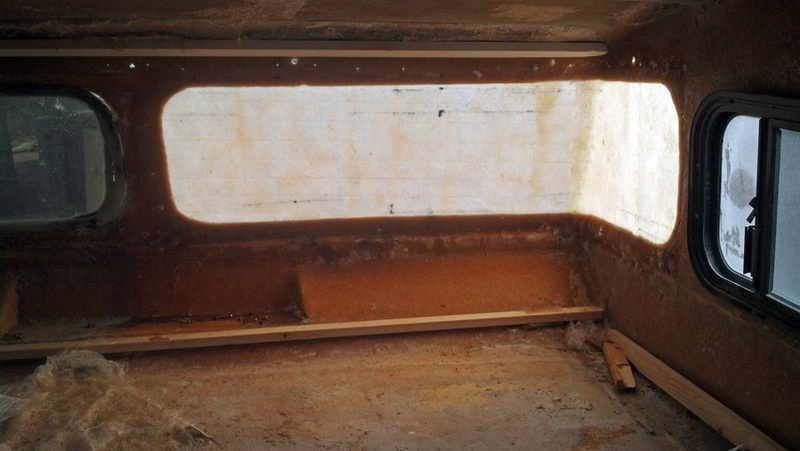 Repaired fiberglass and reinforced support beams. 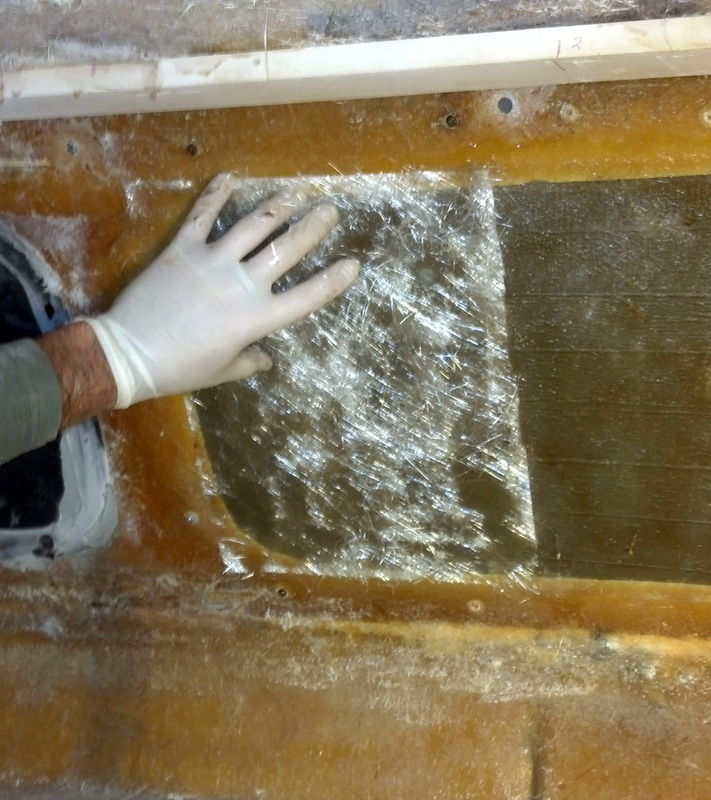 Finished fiberglass from the inside. The bed platform needed leveling. 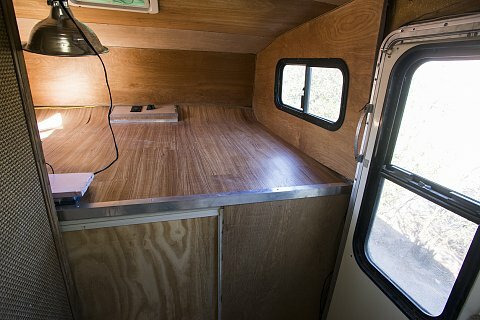 We replaced the previously removable section of the bed with bolted-down plywood to allow us to create a security divider between cab and camper. 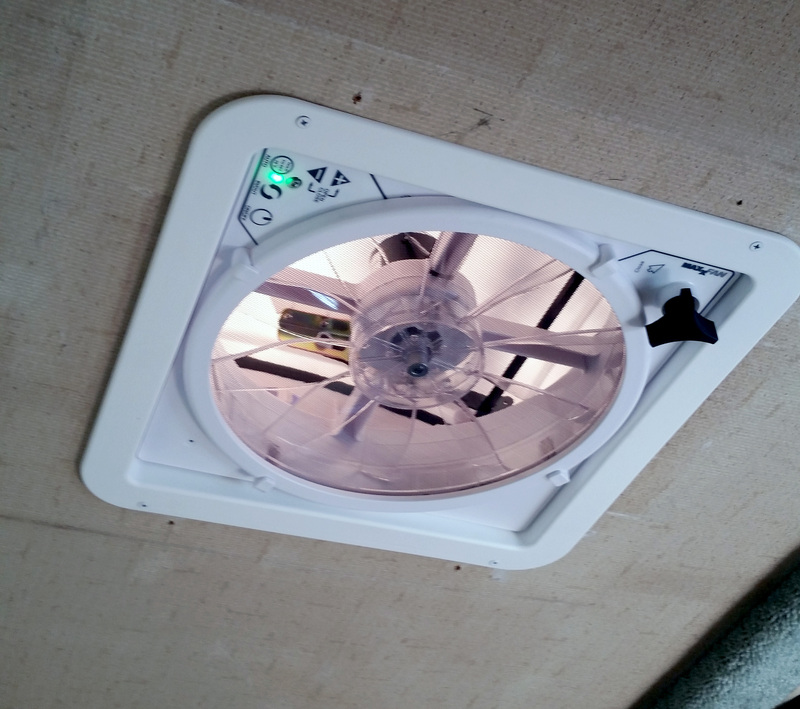 Circulation fans in roof vent. We fiberglassed over the gap to solidify position. 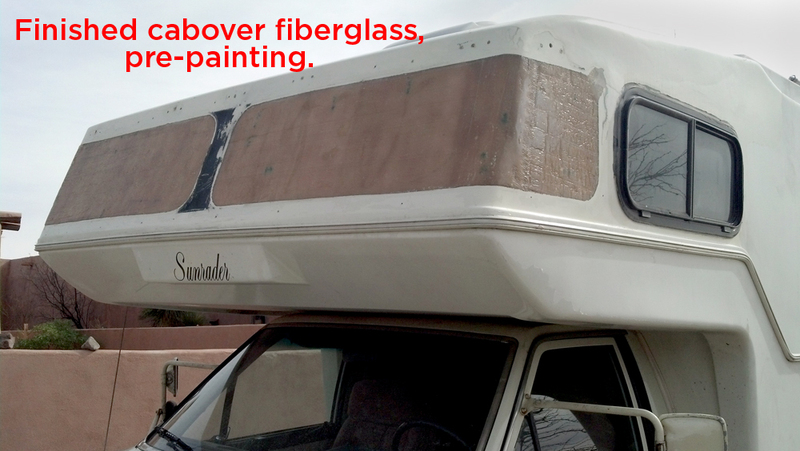 Cabover turned out pretty good for first-time fiberglassers! The paint has now faded to match. Fridge, re-installed. Safe underneath. Before resurfacing. 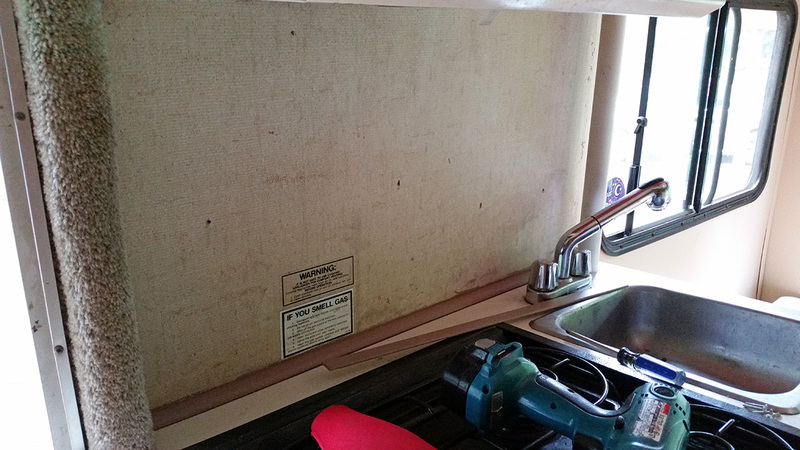 False panel to hide safe. Nice gas tank. 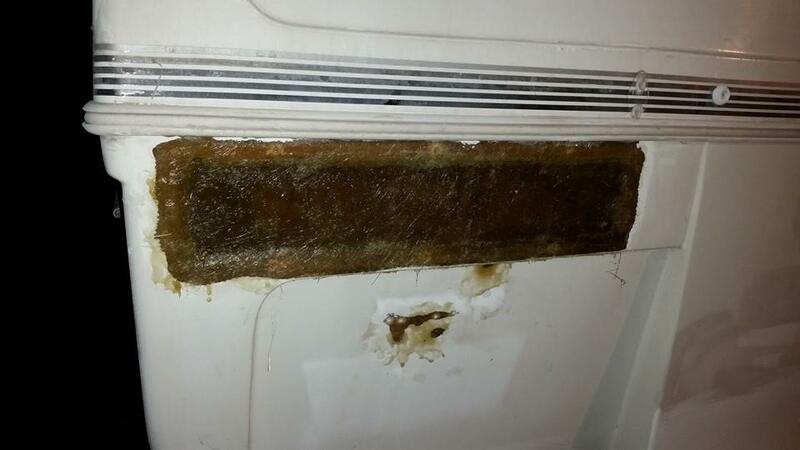 Look at all those leaks and rotten seal. Had to reseal the pump assembly. New cab from the rear. 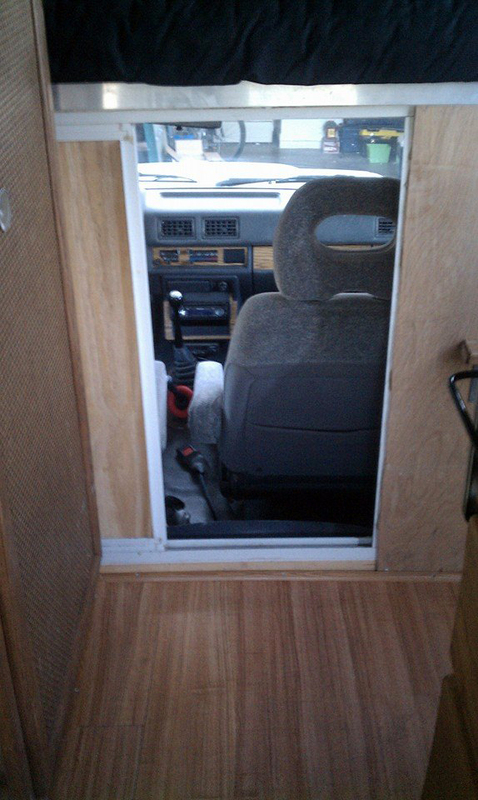 New cab with new door panels! 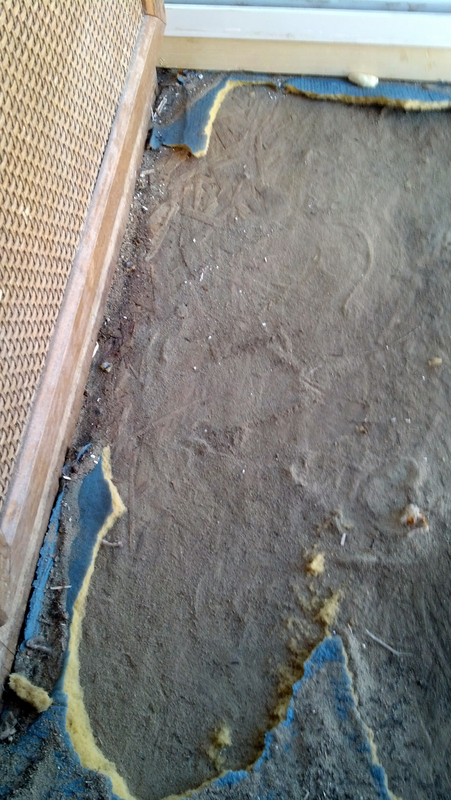 Ripped out all that nasty pink carpet…. 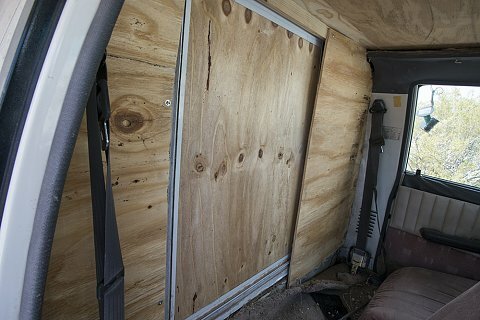 3/4-inch plywood fit nicely in the frame to make a very sturdy door. These things sucked anyway. 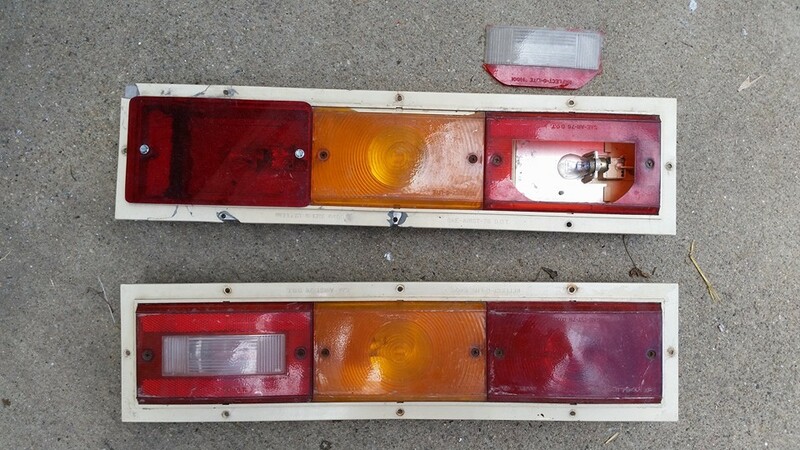 Taillights removed. 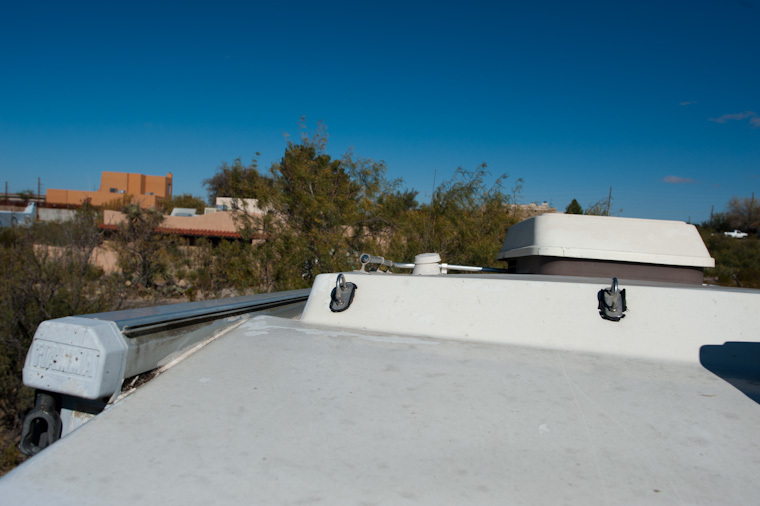 Installing the new Fantastic roof fan – looking good! 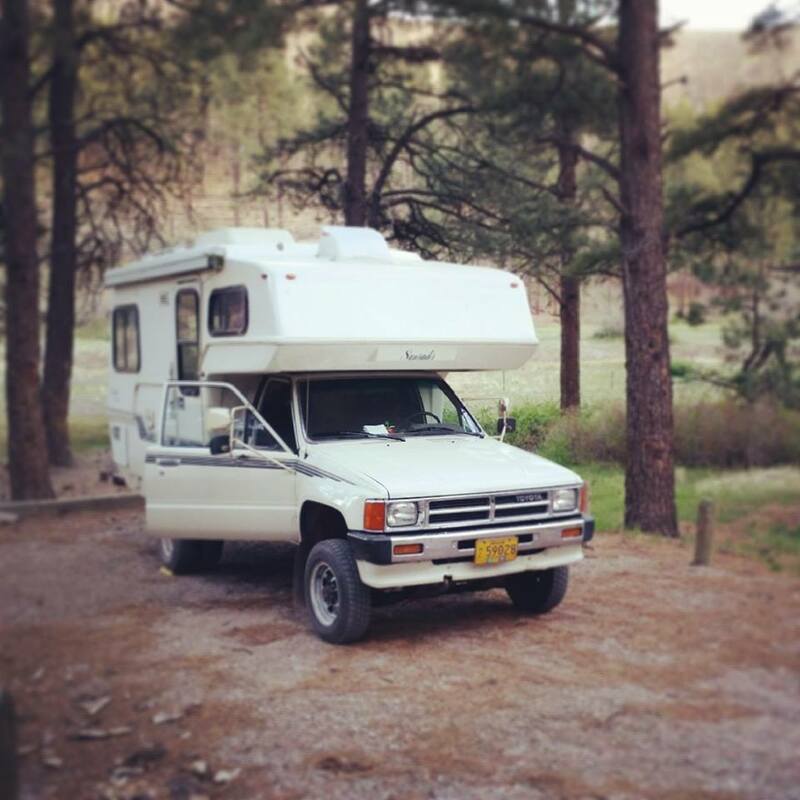 RV in Northern NM last summer. 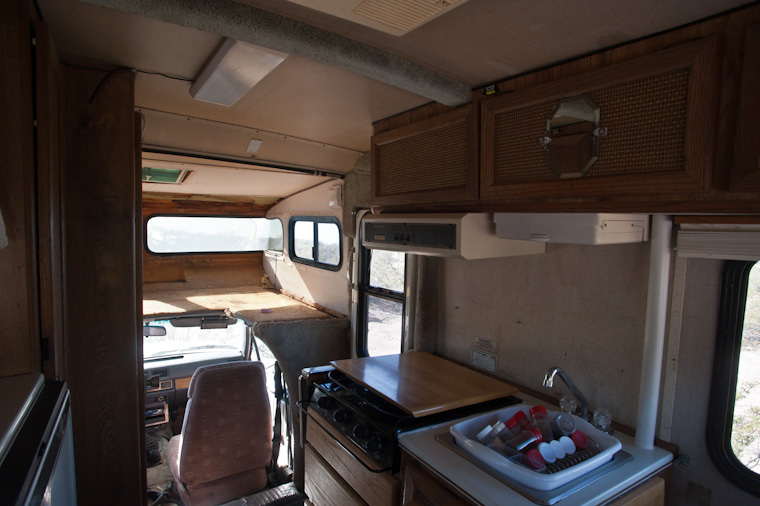 Cabover area after re-insulating, replacing paneling, and putting in the futon mattress. Progress on painting walls (and no, the walls aren’t pink… they’re tan)! 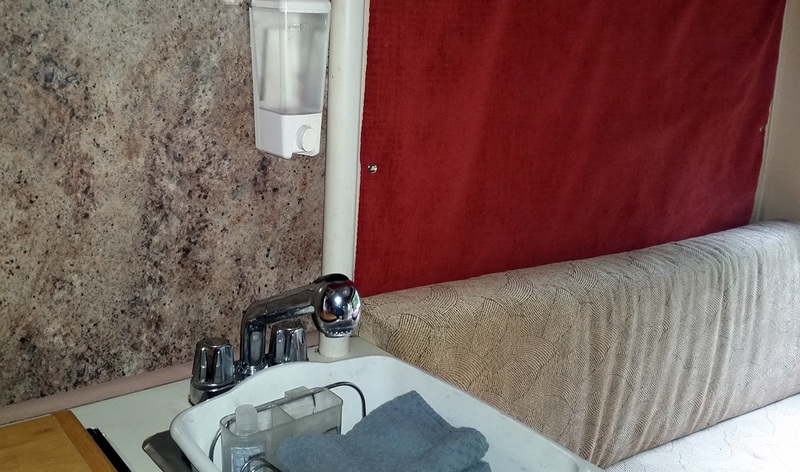 New backsplash to match table — same laminate used to resurface refrigerator door, too! 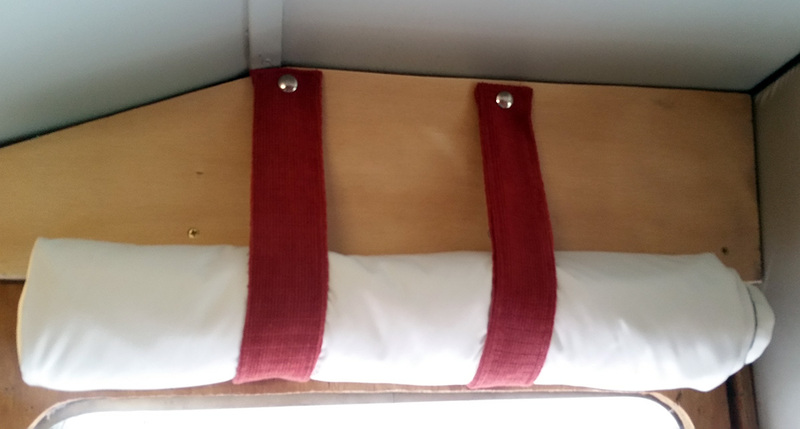 New doorway curtain which, when rolled up, doubles as a head-smashing cushion! Details — New custom oak/laminate table with beveled edge. New tabletop, new cushions, new curtains, painting done! 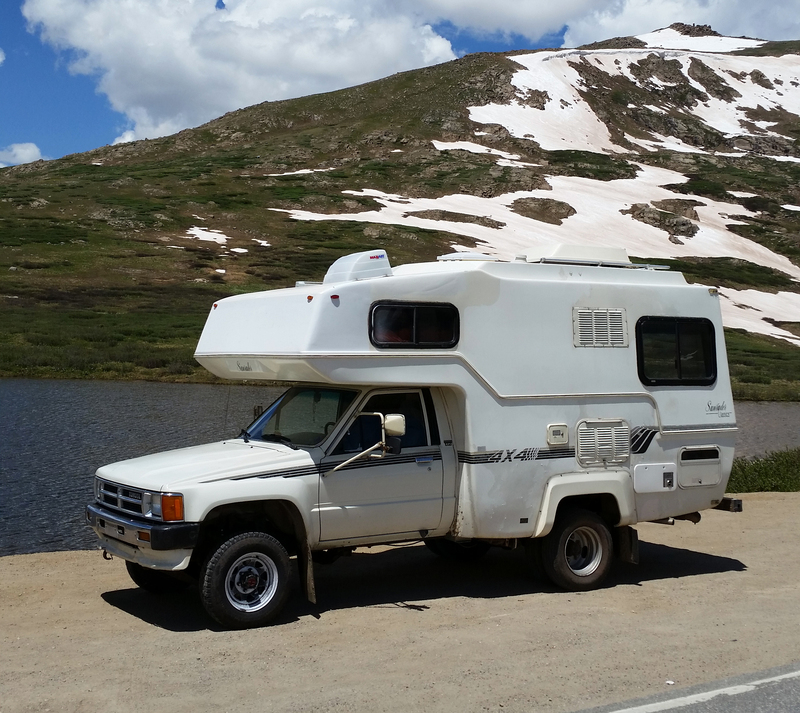 I have an 84 4×4 Sunrader that I will see 200,000 miles on this summer. 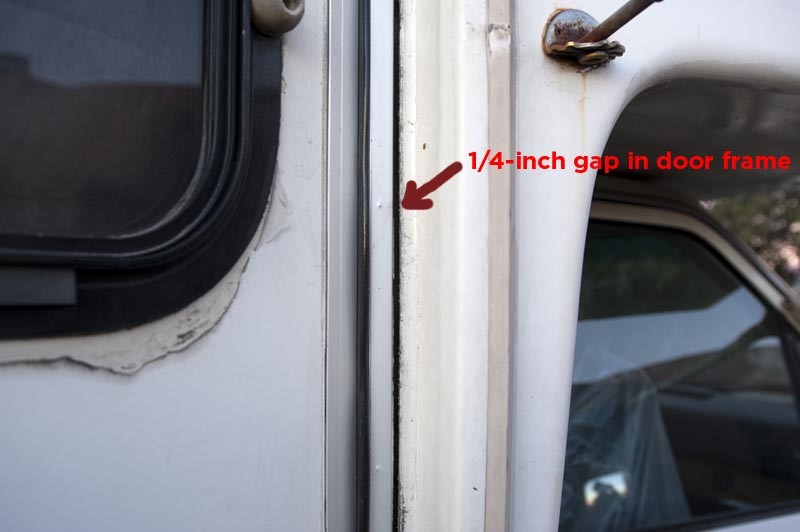 I just need to remove the frame for the screen in the door window to replace a ripped screen, but I can’t seem to get it out. Ideas? Hi Dee! Did you come up with a solution for this? I realize it’s been a while, but for some reason I never caught this question. 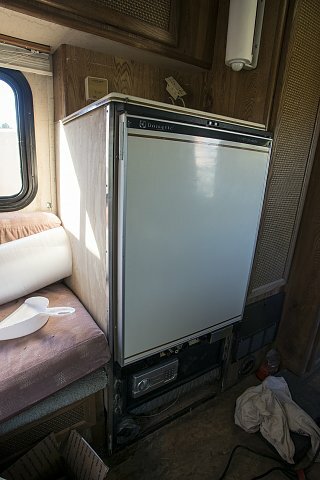 I have a 1980 Sunrader that needs both windows replaced (the curved ones). Any thoughts on getting new ones made vs. glassing over the voids? Hi there! When we priced it out, it was cost prohbitive to get new windows. Besides, we decided they would likely warp again, and we’d be in the same predicament. 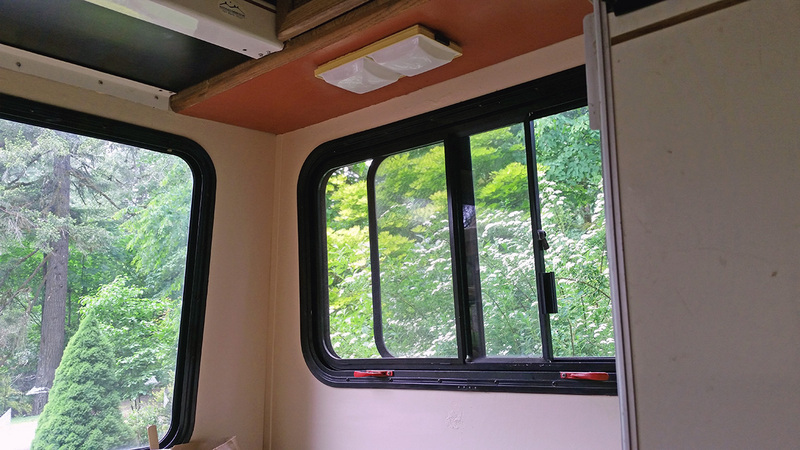 We didn’t really feel like we needed giant windows in our bed area, and we don’t miss them. But if you look hard enough, you can find relacement windows for them. Good luck, nd thanks for the compliment! I feel the sam way about the windows. 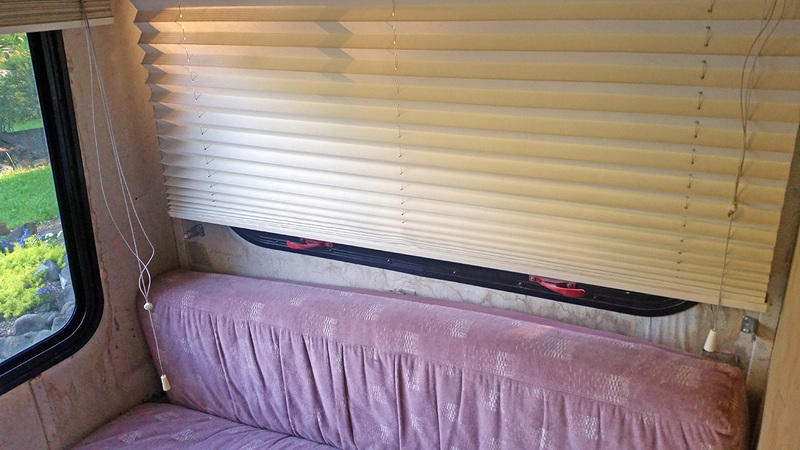 If you know anything about the Lazy Daze RV that are custom made, they don’t have window in front. They will eventually Leak down the road. Great Job on your Sunrader ! Yes, good information. If anyone is interested, they are $300 per window and labor is $95/hr with each window taking a couple hours or more. Thanks for your reply. 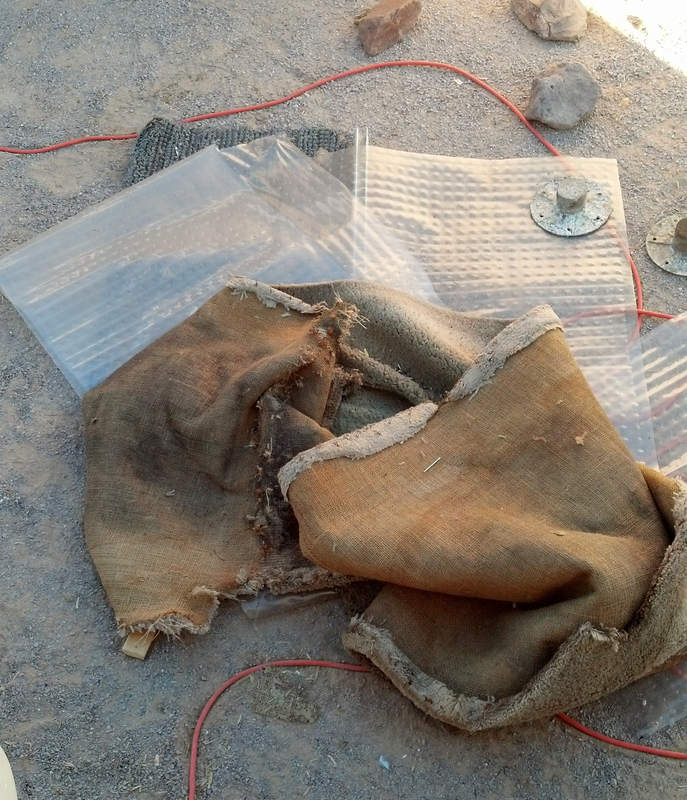 So far I’ve been in touch with a plastics manufacturer, but haven’t heard from them in a while. My thought is that it’s going to be around $1000 (one-fourth the cost of the rig!). 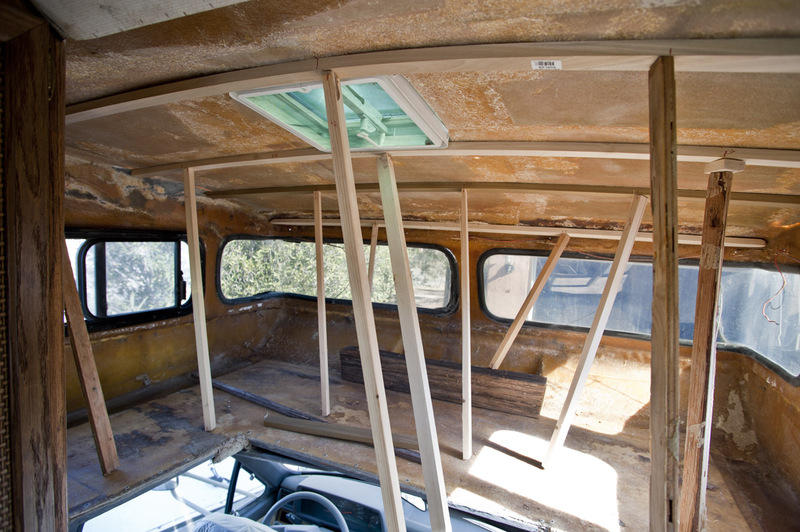 I’ve been thinking about it more, and now with your comment I am definitely going to fiberglass the windows. 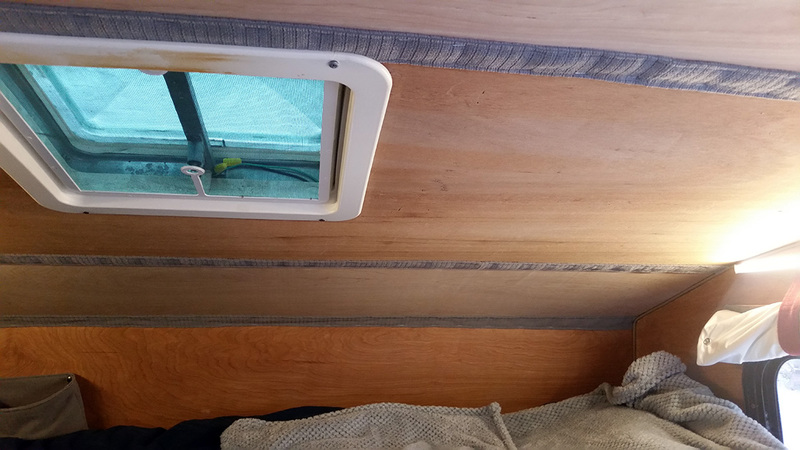 If I want windows I can put in some porthole windows. 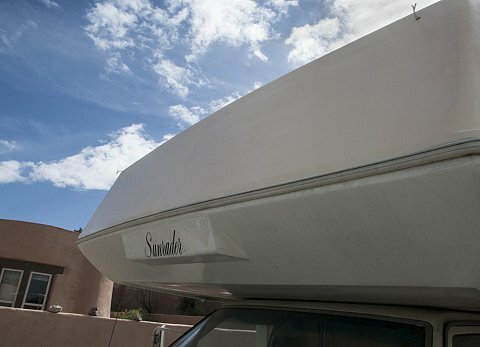 A few questions about the process since my fiberglassing expertise lies in YouTube videos and RV blogs. 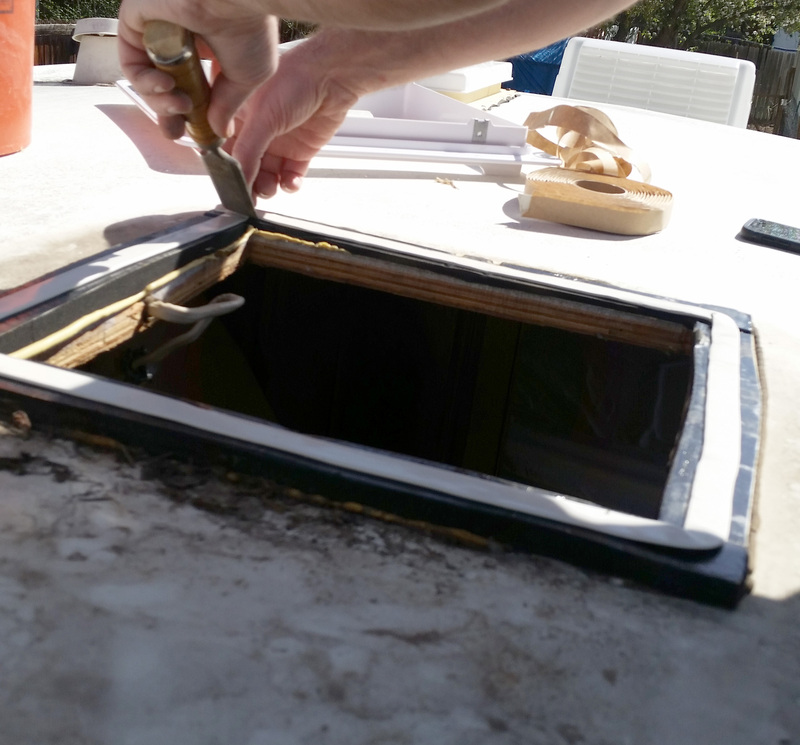 Did you take out the window rubber trim seal and somehow affix the plastic window in place in order to use it as a backing for the first fiberglass layup? 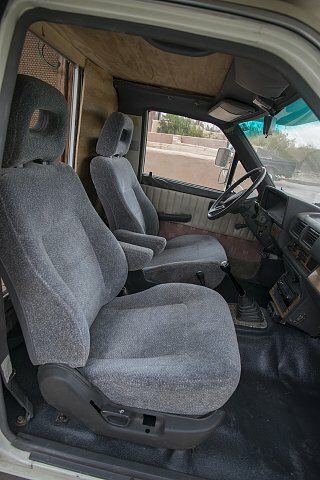 If so, I imagine you built up the layers from inside the cabover space. 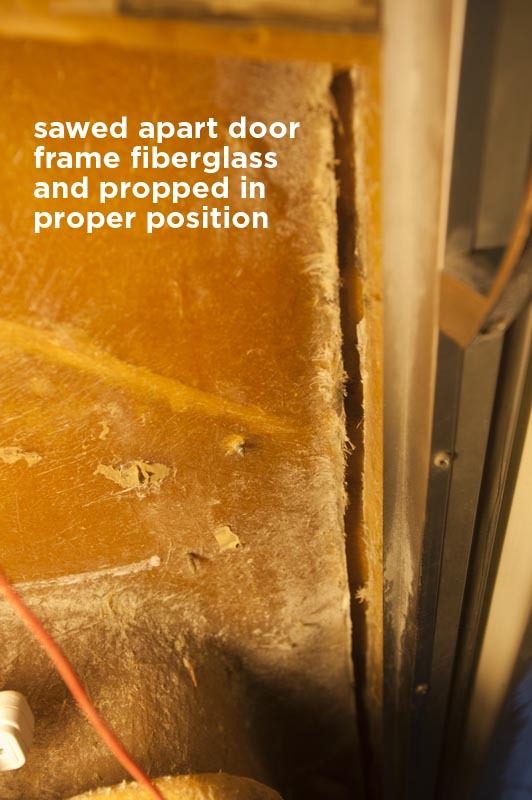 Also, what were your layers in the fiberglass layup and did you use epoxy or polyester resin? I like the wood support on the cabover roof. 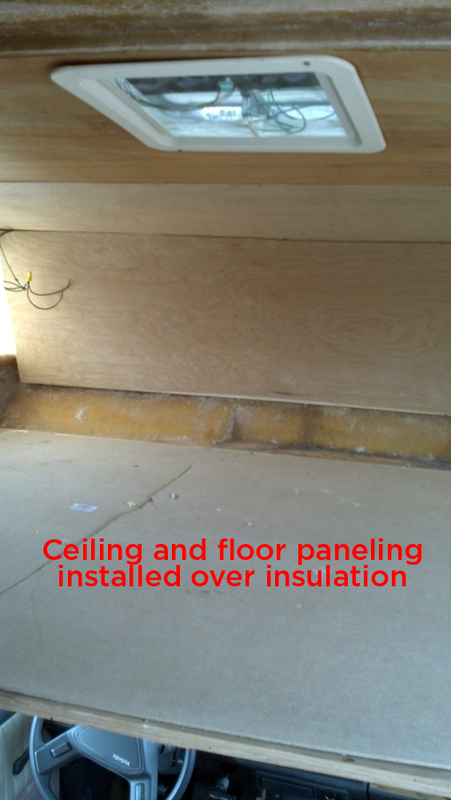 Did you use 1×2 and what type of insulation did you use? 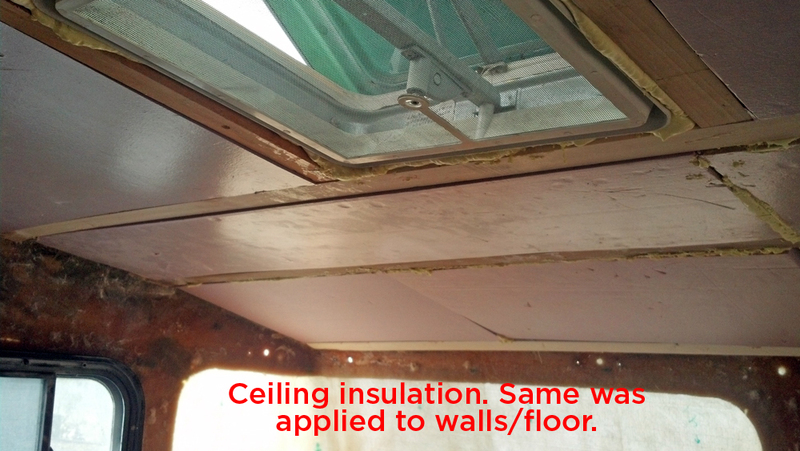 If I don’t have any sag in the roof do you think it’s worth doing the insulation process as you did? I’m really glad to have come across your blog – thanks for your time. Hello! Sorry for the delayed reply. We’ve had a busy Spring and were out of the country for a month. But we’re back! 1. 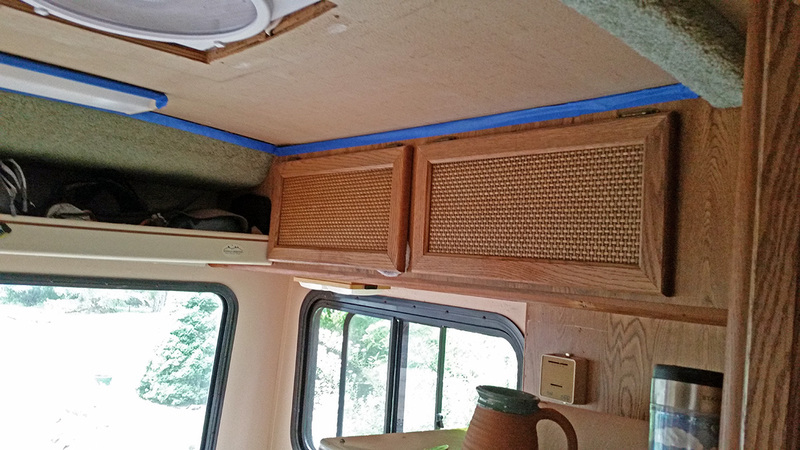 We removed all window elements and sanded down the edges of the voids. 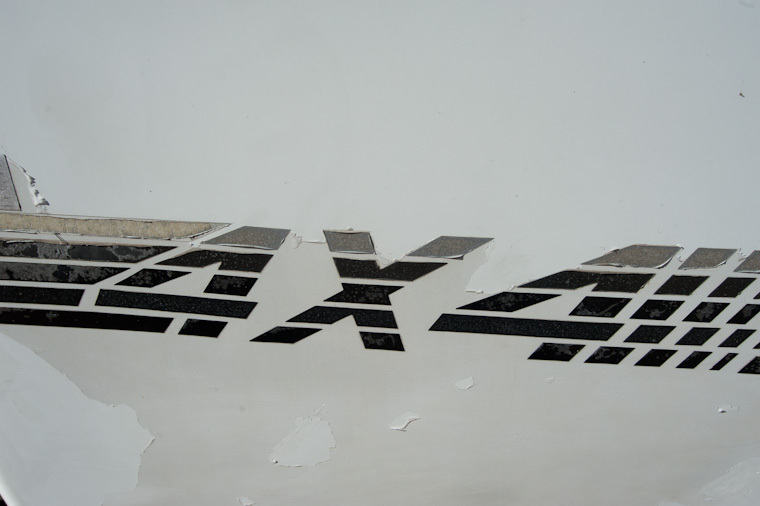 We then coated pieces of cardboard or paneling in duct tape, then affixed these panels to the outside (using the existing screw holes from the windows) with the tape-covered side facing inward. 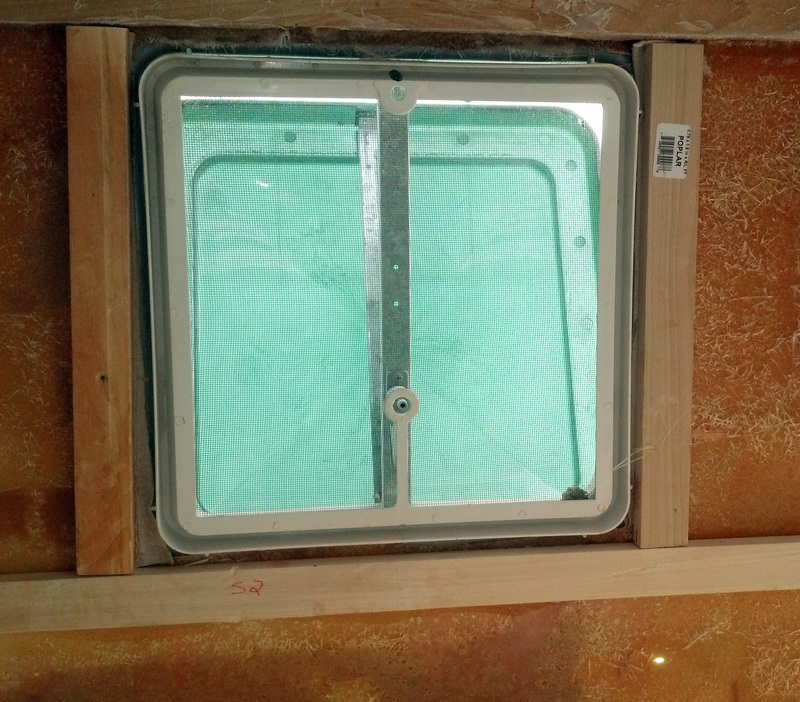 We glassed from the inside, using fiberglass sheets and poly resin. We did three layers. 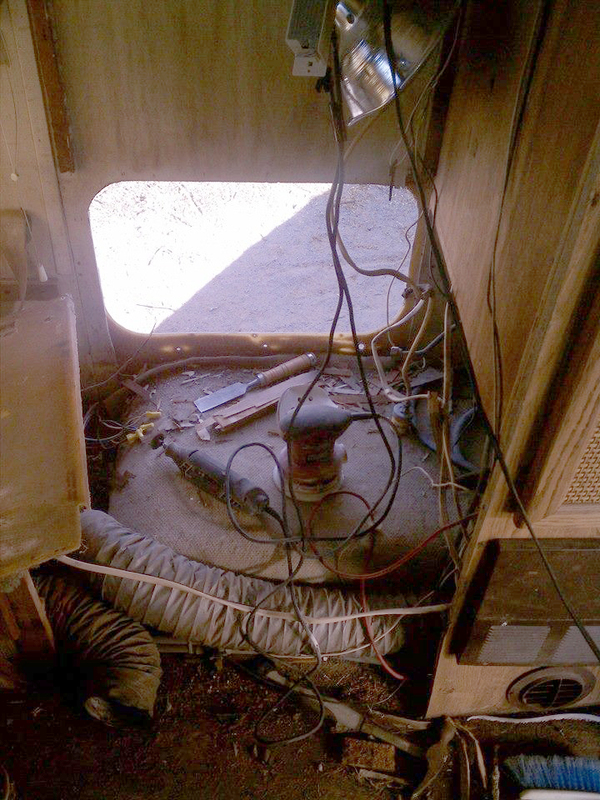 Once that had set, we simply removed the cardboard/panels from the outside, filled with bondo, sanded and painted. Ta-da! 2. 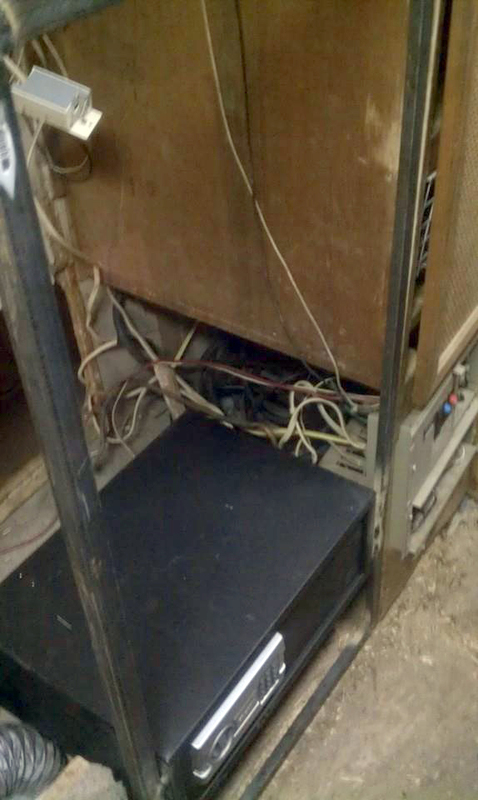 Yes, those are 1×2 wood supports. 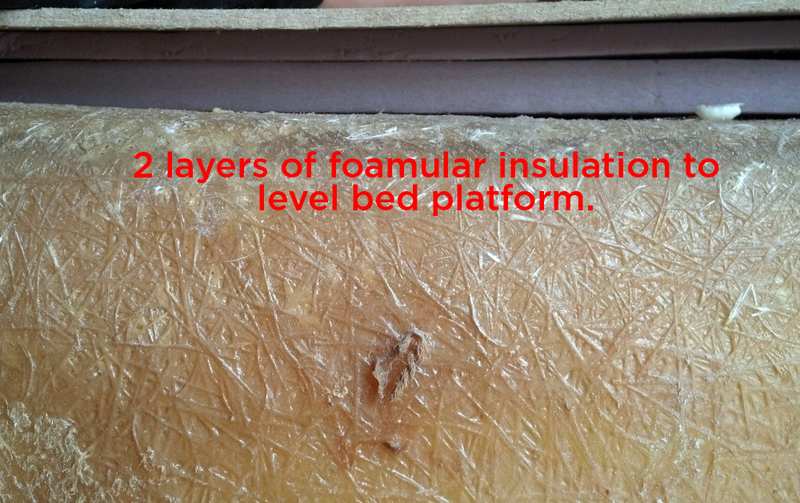 We used standard 1-inch sheet foamular insulation from Home Depot. 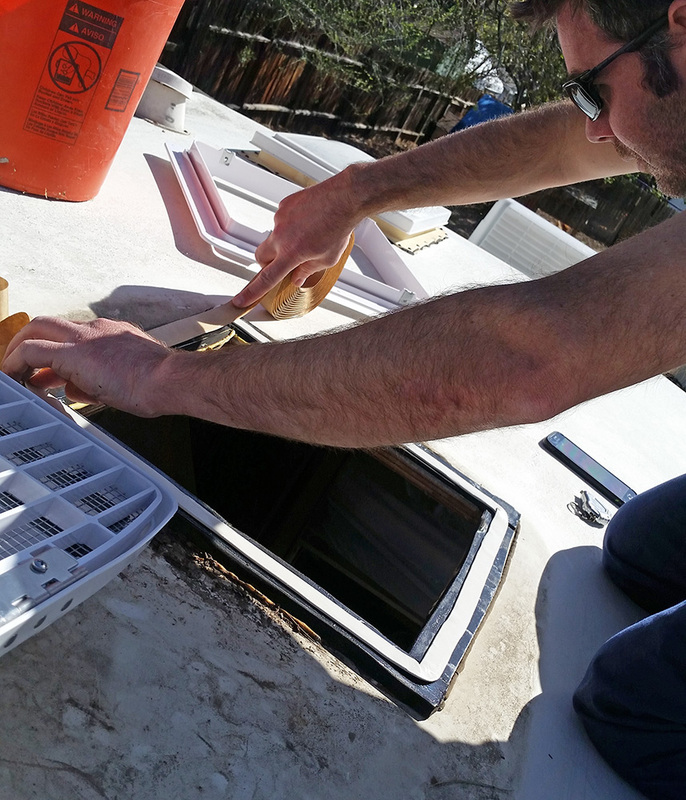 We chose to do this because our roof was sagging and because the old insulation was crumbling and disgusting. It was definitely a good amount of work, so you’ll want to determine for yourself if it’s worth it. You’ll be tearing things apart anyway to glass over the windows, so it might be worth the extra effort. 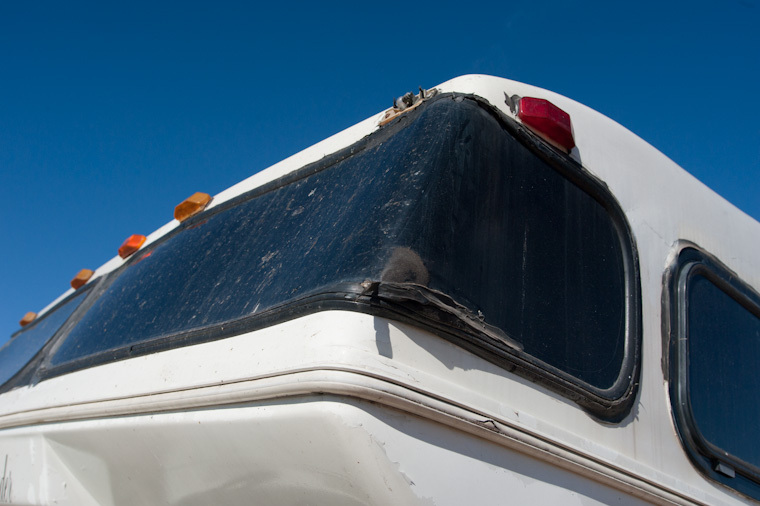 If you’re not on the road and you get a moment, I’m ready to fiberglass my windows but thought it might be easier knowing a few pointers since you’ve already done the work. When you get a chance, if you can take a look at the questions in the previous post and offer up any thoughts, it’ll probably make the job easier. Thanks, this is exactly the information I need to get started! 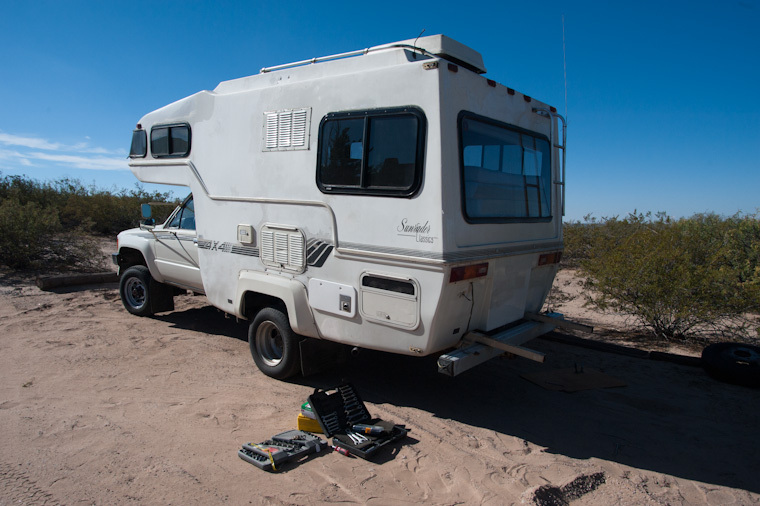 I am in the process of doing almost the exact same thing with my 1990 Sunrader. 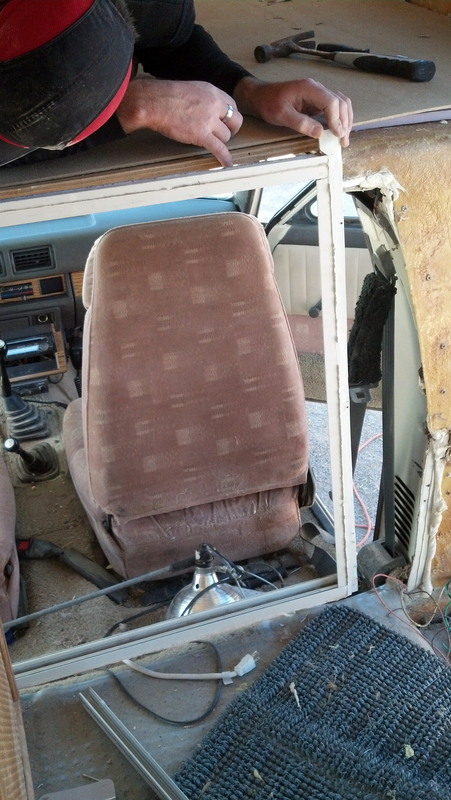 I have already removed the windows and begun to start the fiberglass work. 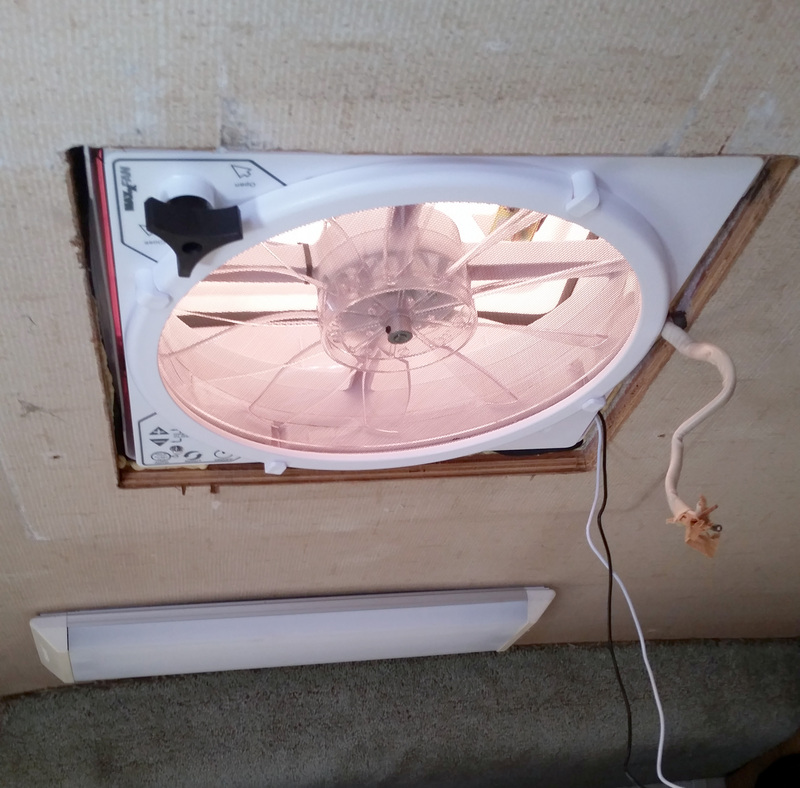 I made the mistake of using too large of a piece of fiberglass causing it to sag in the middle. 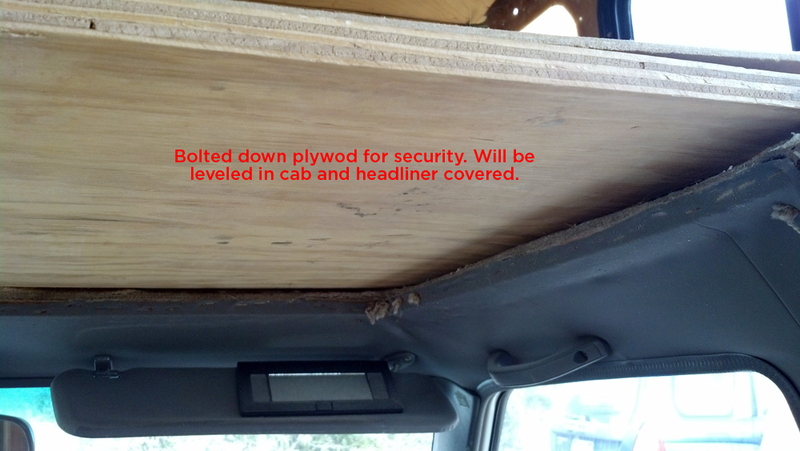 To remedy this I was thinking about applying a layer of fiberglass on the outside but wasn’t sure if that would work. 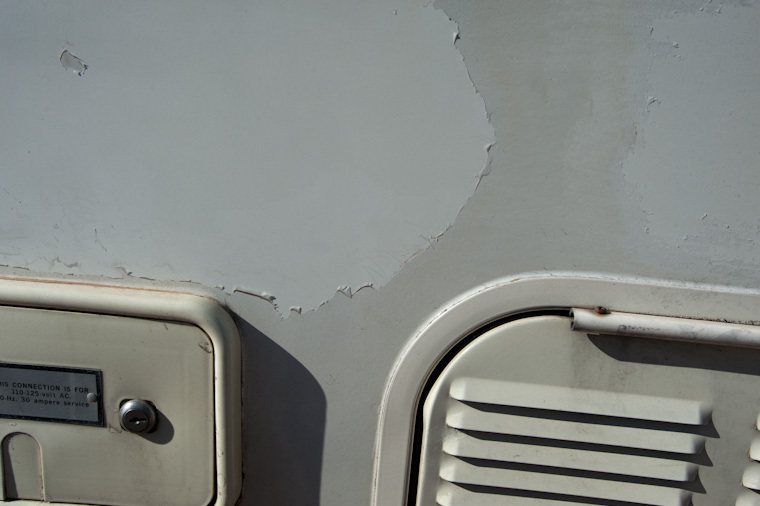 How thick of a layer of bondo can you apply? 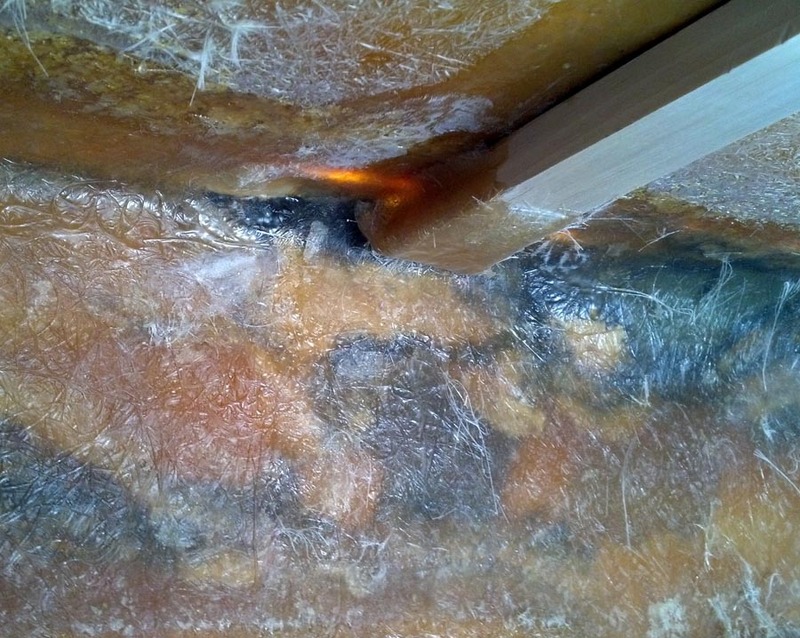 Also, do you think you could have gotten away with using 2 layers of fiberglass instead of 3? Yikes! I’m just now catching up on comments. I’ve been out of commission since September. Did you sort this out? How did you manage to compensate for the sag? Just wanted to thank you for giving me the motivation and confidence for doing this myself. 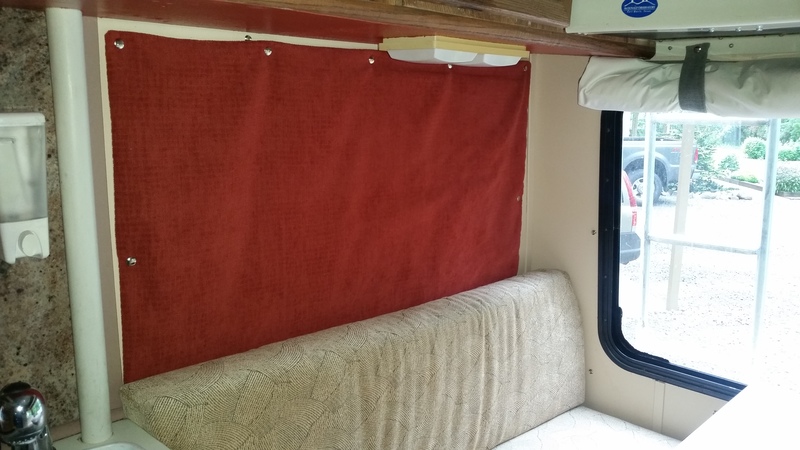 I have a ford conversion that has similar wrap around split windows that leak. I put about as much work into mine as you did yours. 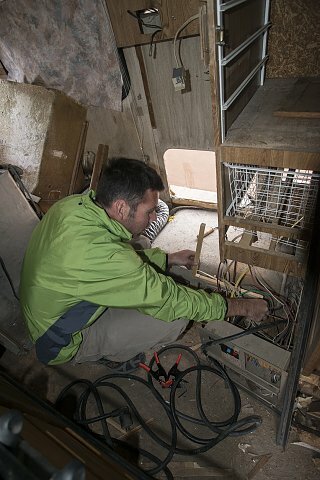 Thought I’d leave this part to the pros, but they want about $4000 to do a job like this. It’s amazing what these “professionals” get away with. Like they have some highly qualified skill to offer, lol. It’s certainly not easy, but $4000 for a day or two worth of work is insane. I really dont have time in my schedule to do it…but if I can save myself $3700 or so doing it myself, then I’ll make time. Right on, Charlie! Yes, we’re inclined to go the DIY route instead of forking over thousands, as well. 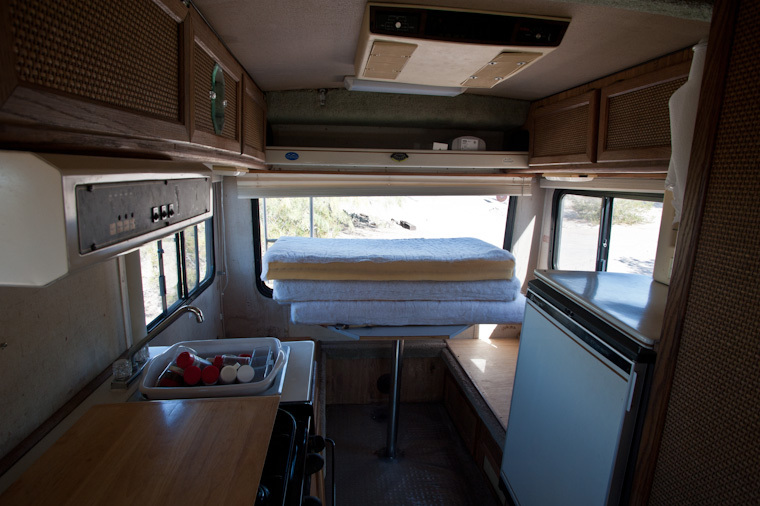 I’m so glad our little RV can provide some inspiration to you! Can you help me with my not-so-aggressive makeover? 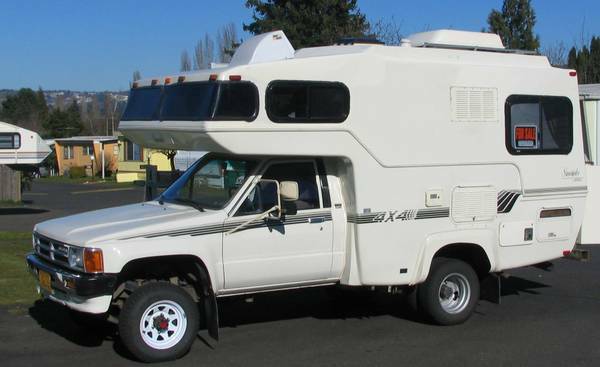 Disabled vet near Portland OR it’s an 84 sunrader that just needs a little interior work. Hi Mike! Sorry for the delay in responding. I hope you figured out a solution for the bathroom, as nothing comes to mind on my end other than fiberglassing over the hole. Mice are the worst! 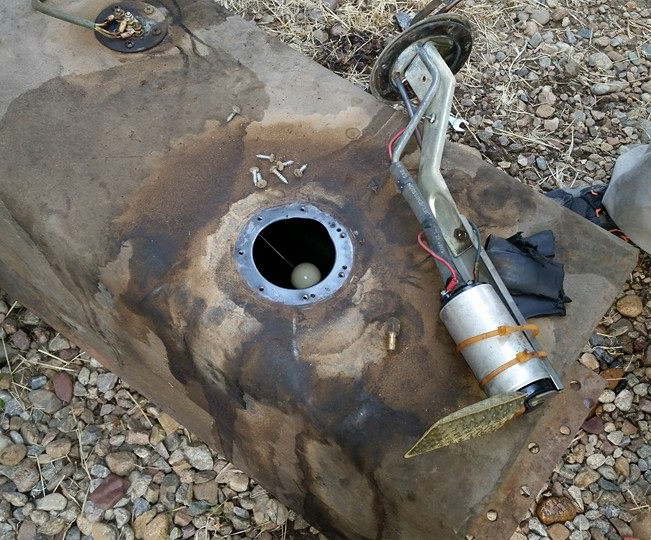 We’ve suffered multiple invasions, and now just keep traps in the rig full-time. I wish I could figure out how they’re getting in. 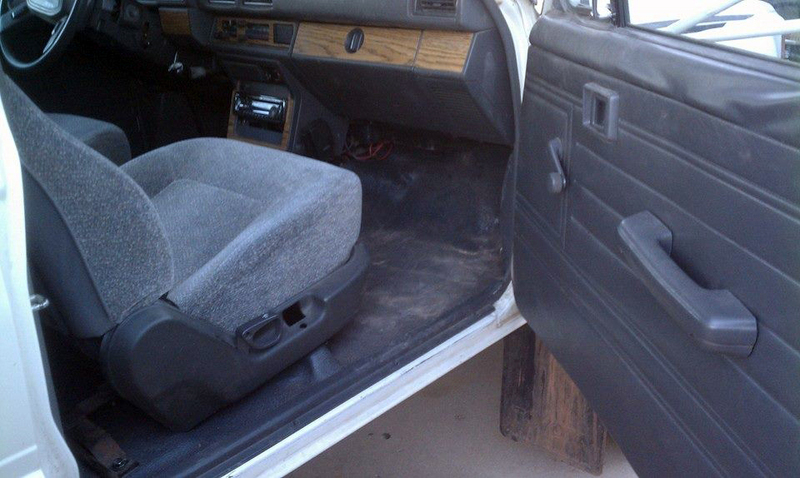 Let me know what you came up with for your repair! We used rigid cardboard covered in duct tape for the backing. 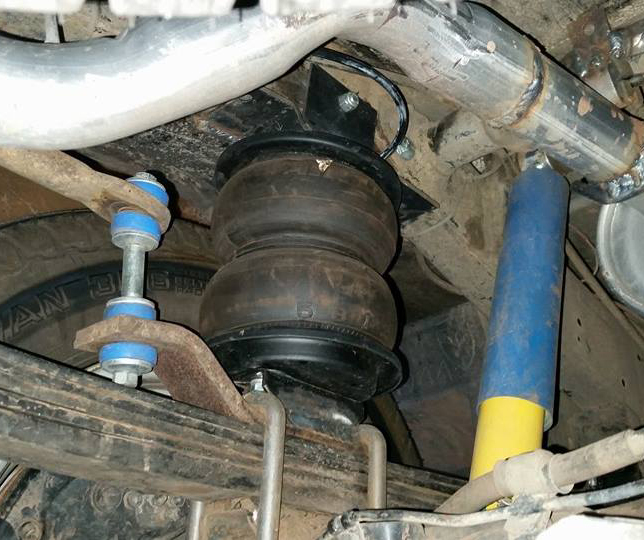 I’m sure this is not the most professional of solutions, but it worked for us! 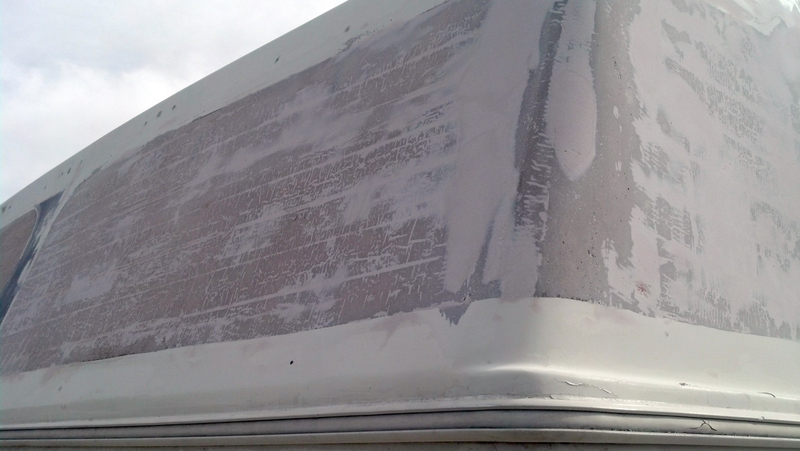 We attached the backing to the outside of the cabover, then applied the fiberglass from the inside. I hope your repairs went well! So helpful, really. Could you please give a bit more information on our sliding door. I would like to do the same thing — for privacy and to keep the furry family members from distracting me while I drive. 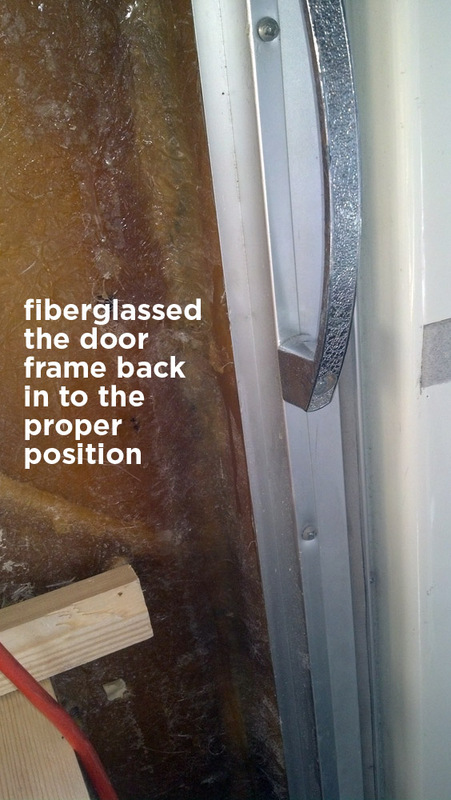 Did you look for a sliding window frame the same size as your opening? Thanks so much. I bought a window frame about the same size as the opening, yes. 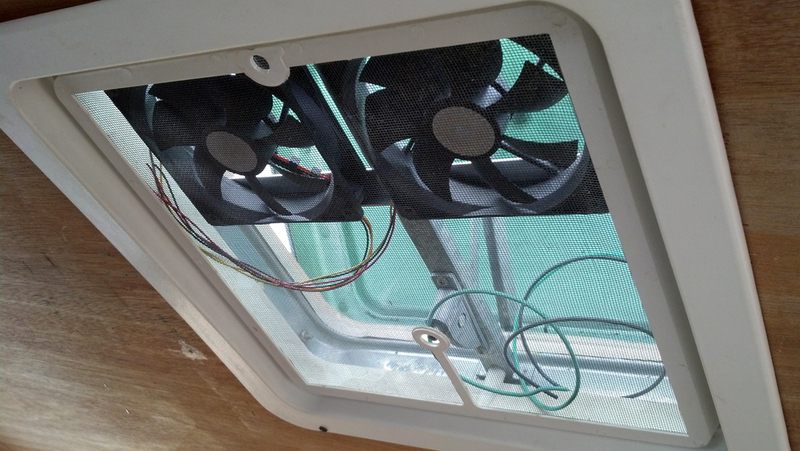 We did some trimming of the frame to fit, then replaced the glass with 1-inch plywood in the sliding window insert. 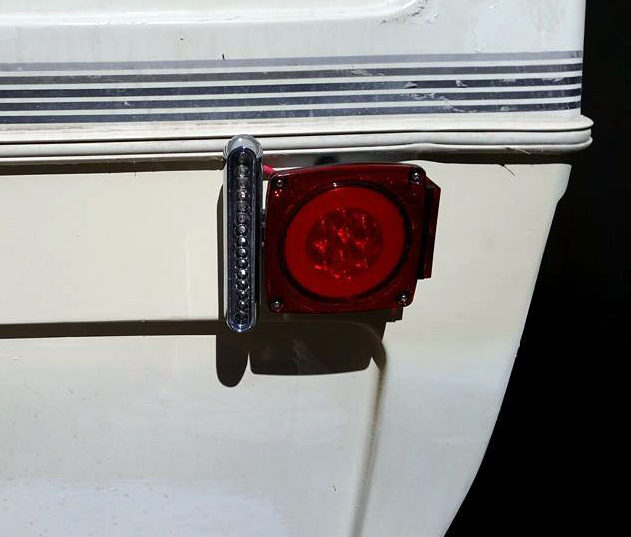 It wasn’t easy to install, but it’s so nice to have! I hope you figured out a good solution. Gahhhhh! You’re my heroes! 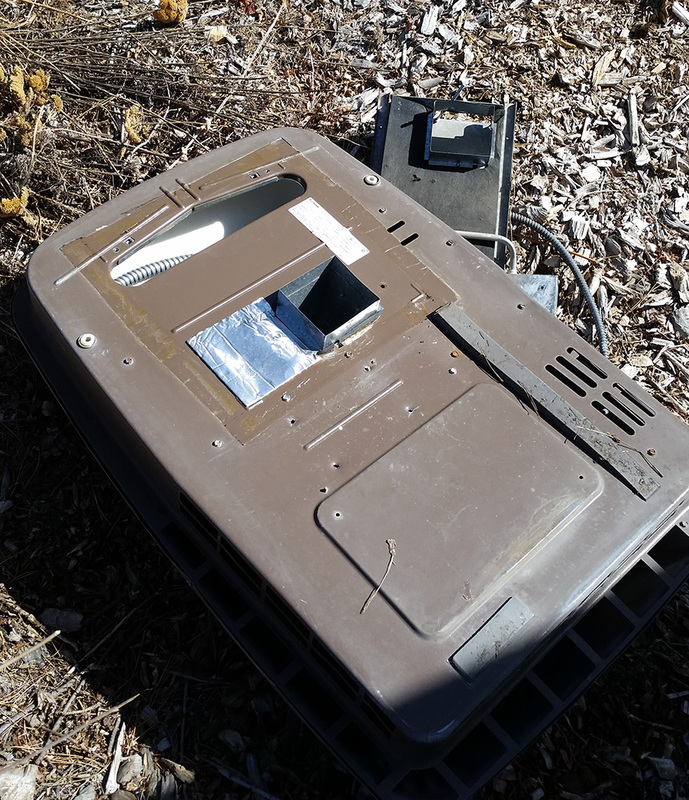 I have a sunrader similar to yours in condition. 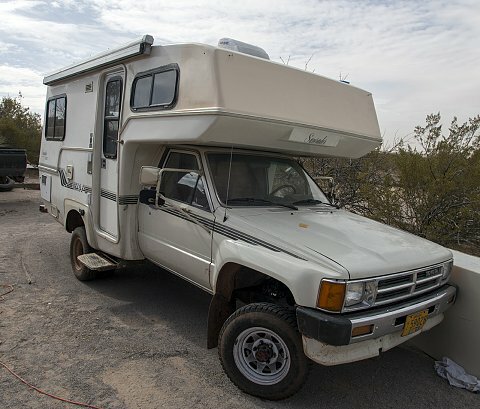 I’ve been fixing as I go, living in it for the last 2 years. The front windows are getting worse tho, and the front roof is sagging unstable. 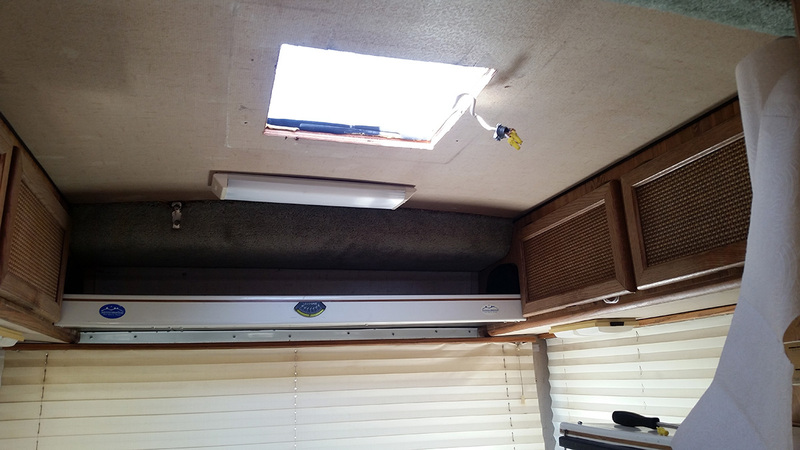 So it’s the back roof actually….. 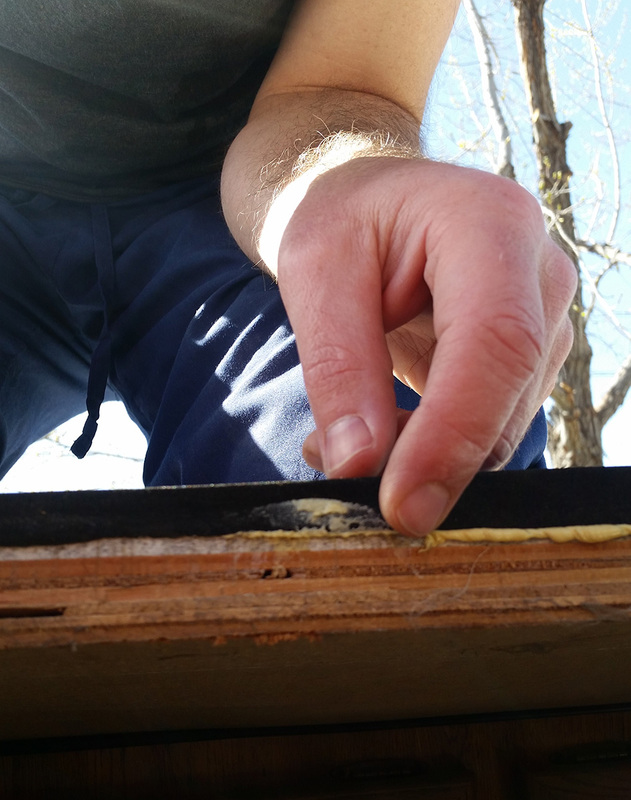 Causing a new Crack on the peak of the roof. Bah. Anyway, I love seeing the pics of the process, thanks for documenting and sharing. 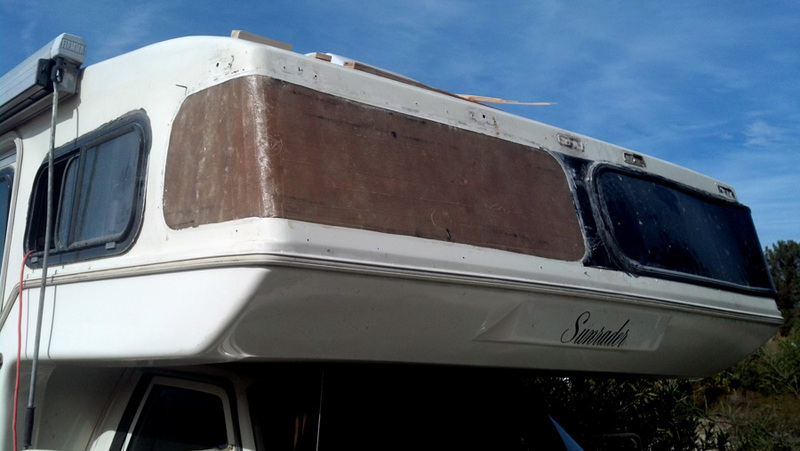 I’m no fiberglasser, but it won’t be the first time I’ve learned on the fly. Oy, that sounds like you have some fiberglass fun ahead of you! 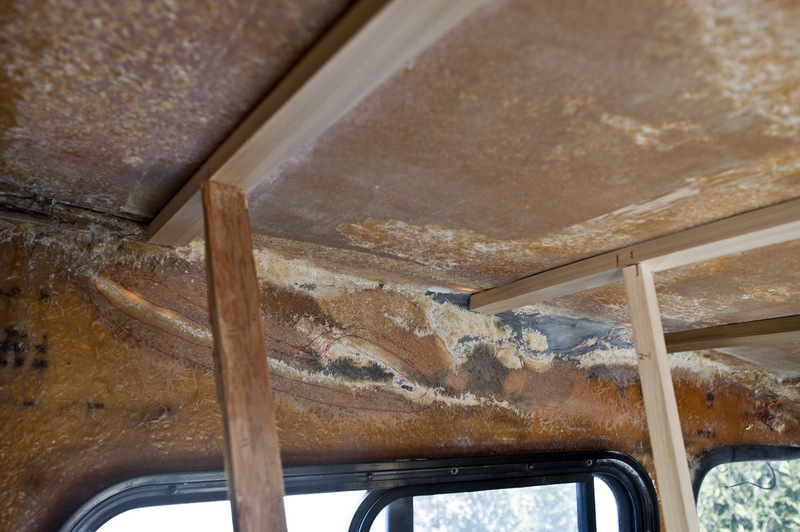 If you’re ripping out the roof lining anyway, I definitely suggest adding supports to keep it from sagging in the future. 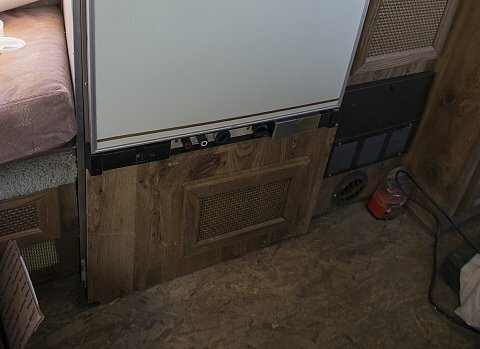 You can replace the insulation while you’re at it. Good luck with your repairs! Wonderful to see the pics of your reconstruction/remodel. I have a shorty that needs a complete overhaul and your sharing of these photos has re-lit my motivation. Now, I just need the snow to melt first! !